A Belated Post from last Friday. We have been extremely busy with end of season basketball games so all of my post are late. Lots to post, short on proofing time and picture uploading time. 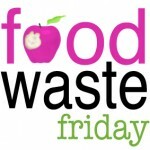 I don’t have pictures of my food waste. They were gladly eating by my canine companions. I had a lot of food waste this week. I am hiding in shame. There was 1/2 cup of refried beans. A vegetarian Greek Wrap was gifted to us only one half got eaten before it became too soggy to eat. Some turkey gravy for rice and few pieces of chicken. (Too greasy for my taste. I don’t care for dark meat. It gave this poor pregnant woman heartburn..ick) Not enough flavor for the rest of the family. There was about 1/4 cup of boxed macaroni and cheese from lunch in a Pyrex dish. No one wanted so I fed it to the dogs. Maybe I’ll do better next time! Previous PostPrevious I am sad….